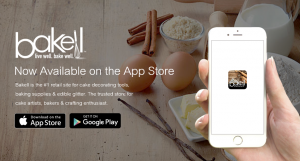 Bakell, the #1 leader of edible glitter, cake decorating tools, kitchen utensils & baking supplies, has gone mobile! The new Bakell mobile app is now available! REDLANDS, CALIFORNIA, UNITED STATES, October 6, 2018 /EINPresswire.com/ — The Bakell team (https://bakell.com/) announces the release of their new Bakell mobile app! The Bakell mobile app is now available on the Apple app store for the iPhone & Google Play for the Android. The new Bakell mobile app will allow for a more seamless shopping experience!Some of the new available features include: Easy Checkout, several payment options like Apple Pay, Google Pay, PayPal & Amazon Pay, adding items to a custom Wish List and managing your Bakell Account on the go! “Bakell is an online decorating & baking supplies company that specializes in creating and selling fun, decorative tools & products, from silicone molds to custom decorative stencils. But we knew we needed to make online shopping for our customers even easier! We needed a mobile app. We wanted build an app that was secure, fast & easy so our customers could shop on the go,” said Justin Jordan, CEO & co-founder of Bakell. 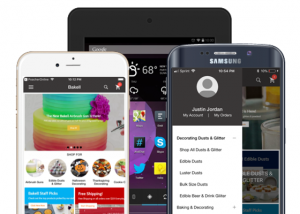 Research has shown that the enterprise mobile app market is expected to grow to $63 billion by 2020. In 2016, the average number of apps created by businesses was 11, a 126 percent increase on the number created. 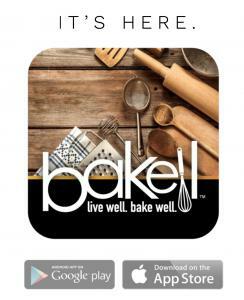 The Bakell mobile app is here!